An elegant weapon for a more civilized age? A 1GB discrete GPU from AMD's 5570 class or Nvidia's 450 class? Yeah, just about everything should be at least that fast these days. But what if you're using an older system—how do those stack up against a three-year-old laptop? I've got some bad news for you. Even a rather anemic HD 5570 is going to be faster than Intel's HD Graphics 4400, by about 30 percent, though newer laptops with 5th and 6th gen Intel Core parts are probably close to the HD 5570. AMD's APUs should fare better, with the 2013/2014 chips delivering roughly HD 5570 performance. I don't have all of those parts sitting around for testing, but what I do have is a modern quad-core i7-6700HQ notebook. Sure, it has a beefy graphics card as well, but I set Civ 6 to use the integrated graphics. Intel's HD Graphics 530 in this case is a moderately potent graphics solution, likely better in some ways than an HD 5570, and I wanted to see what it could do. Civilization 6 at medium quality. Civilization 6 at low quality. So, 30-35 fps while zoomed out, but that's at 1920x1080 and only at the start of a new game. Fast forward to 575 BC when there's more going on and performance while zoomed out was noticeably slower—around 20 fps—but zooming in a bit could get me back above the 30 fps mark. 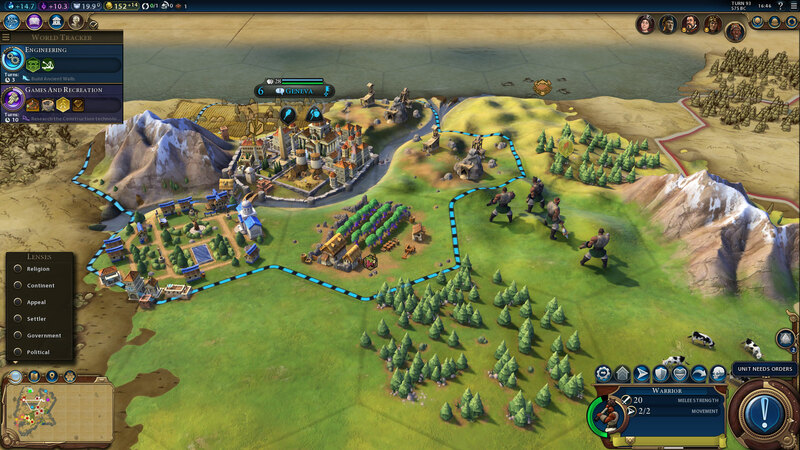 Also, Civilization games aren't about twitch reflexes, so even 20 fps was manageable in a pinch. In most games, performance for integrated graphics ends up limited by the number of pixels you render, so I figured dropping from 1920x1080 down to 1366x768 would provide another boost to performance. Only rendering half the pixels ought to help, but in this case it didn't seem to matter much—I gained maybe 1-2 fps. It looks like the biggest bottleneck with Civ 6 on low-end graphics solutions (especially Intel) is going to be geometry throughput. A laptop running i7-4702HQ with HD Graphics 4600 and GeForce GT 750M. What will that mean for other Intel GPUs? None of them are officially supported by the game, and apparently with good reason. If HD 530 only hits 20-30 fps, and that's still relatively early in the game, I suspect the late game on larger maps will absolutely choke lesser graphics chips. I checked another laptop with Intel's HD Graphics 4600 (Haswell) and found framerates in the mid-teens, and on Ultrabooks it would be even lower. On the other hand, the same laptop using a GeForce GT 750M did OK, pushing 30-40 fps. The world is there for the conquering. Update: There's another option for playing Civ6, and that's the strategic view. The problem is that you're left with icons for everything, so figuring out the units can be a bit difficult, but frame rates at least aren't a problem. Intel's HD Graphics 4600 was able to push 80+ fps in strategic view. That doesn't say much about the time between turns, though strategic mode also tends to speed up movement in my limited experience. 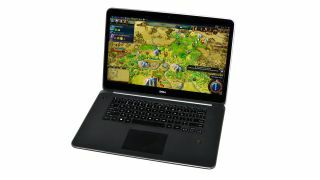 It's not the ideal experience, but if you really want to play Civilization 6 on your laptop's integrated graphics, it's possible. You can either stick with the Tiny map size, try not to zoom too far out, and bring a jug of patience, or you can play from the strategic view and forget about all the fancy graphics.